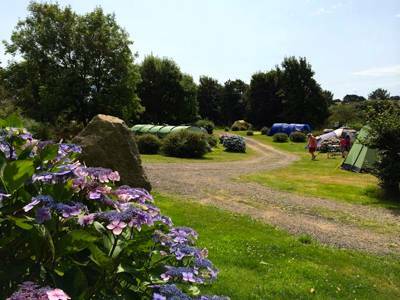 The idea of camping at the world famous Eden Project may spark dreams of pitching a tent among a jungle of tropical plants but, alas, this YHA campsite – the closest campsite to the attraction – is still located outside the official entrance gates. So while you can’t swing from Tarzan-type climbers you can still pitch a tent within walking distance of the tropical biome – the most popular of the four huge, football-like structures that have made the place an architectural icon. Located just outside the YHA Eden Project hostel, this small but excellent campsite is deliberately on the more rudimentary end of the spectrum. Caravans and campervans are not allowed, there are no electrical hook-ups and a small shower and toilet block are located alongside a little shop selling the essentials. Cars are also restricted to a specific parking area alongside the grassy meadow, so the field itself really is a tents-only space. 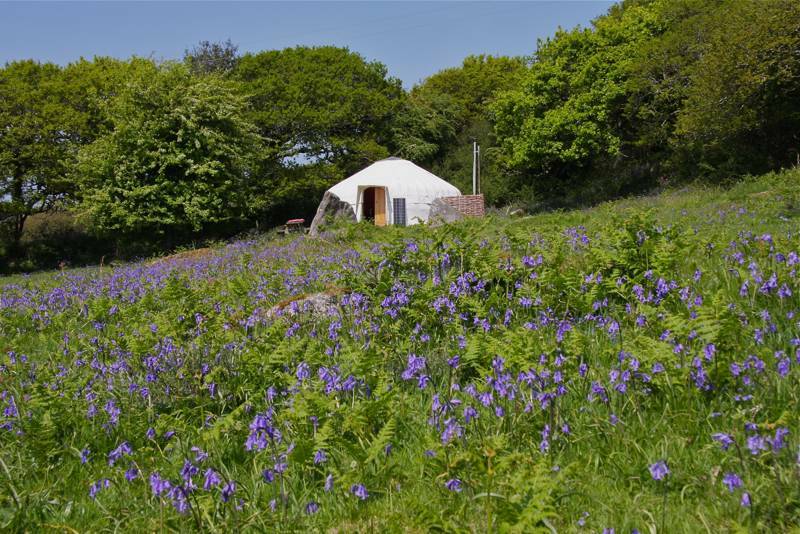 The ‘wild camping’ style, though, suits the setting on the doorstep of such a nature-focused attraction and, though there is an obvious slope to the meadow, the vehicle ban keeps the ground good for pitching a tent. 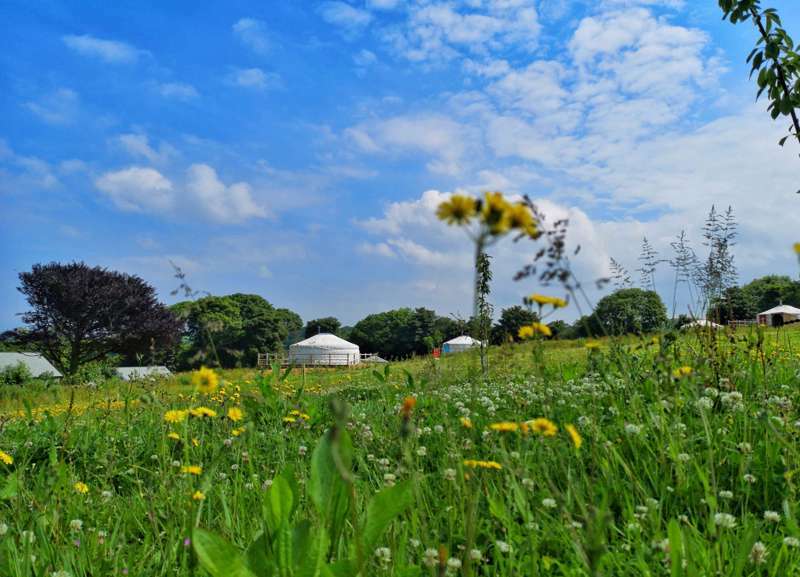 For most, camping here is a one- or two- night stay as you take in the main event (tickets for the Eden Project attractions can all be bought on-site at a discounted price). But, if you plan on heading further afield, there’s plenty more on offer. This is Cornwall, after all! 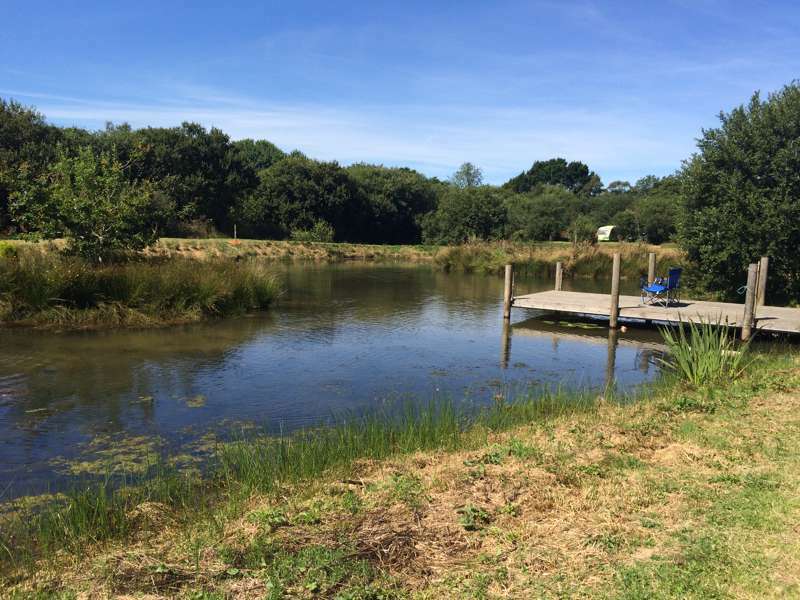 It’s a mere three miles to a trio of beaches in Carlyon Bay and less than ten miles to The Lost Gardens of Heligan in the west and the Lanhydrock estate and Restormel Castle to the east. 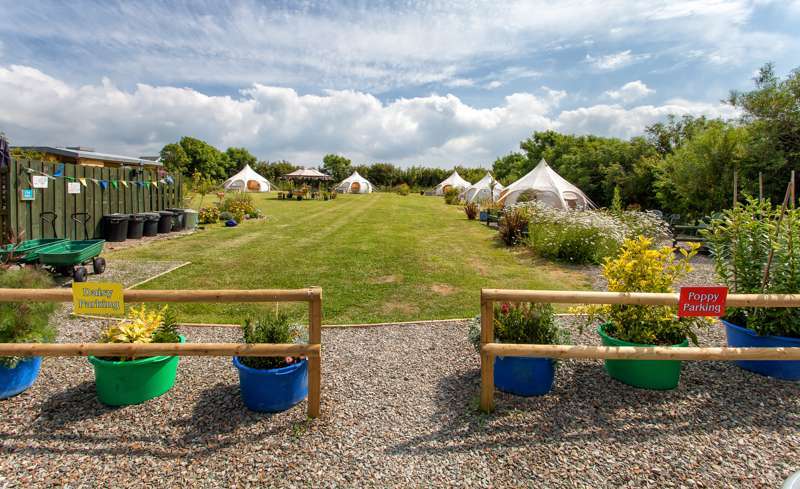 The perfect campsite for visiting the world famous Eden Project attraction. 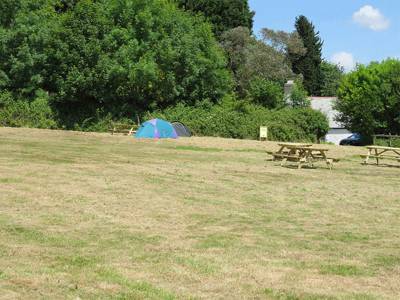 This back-to-basics tent campsite is located just outside the YHA hostel, from where visitors can walk to the Eden Project. 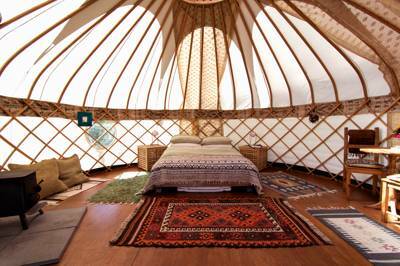 The style is 'semi-wild' camping, with no cars allowed onto the camping field, no electrical hook-ups and a tents-only policy (sorry, no caravans or campervans). 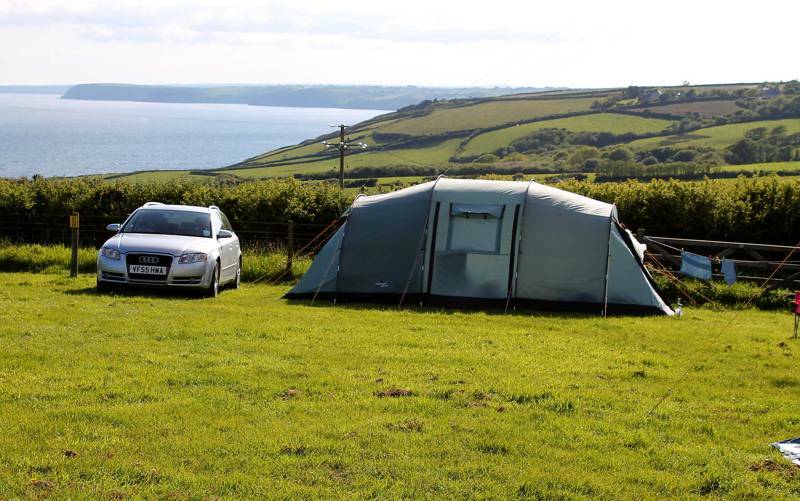 Please note, the camping field is slopey in parts, but is not bothersome for most visitors, who tend to only stay for a night or two to visit the Eden Project. If you plan on staying longer and heading further afield, there’s plenty more on offer. It’s three miles to the beaches at Carlyon Bay and less than ten miles to The Lost Gardens of Heligan in the west and the Lanhydrock estate and Restormel Castle to the east. I stayed here for two nights on a visit to the Eden Project with my other half. Great location right by the gates to the Eden Project so super convenient if you want to make the most of your time there. We got up late and were still one of the first people into the place and had a nice quiet time there in the morning before it got too busy. Easily enough at the Eden project to fill a whole day. Camping area is just a grassy space but we liked that it was tents-only. Not loads of caravans around etc. Would recommend if you're visiting the Eden Project. Pitches for approximately 80 people. 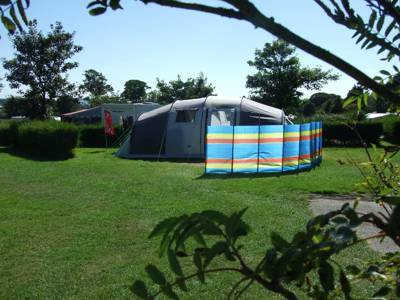 6 pre-pitched bell tents also available to rent. Tents – yes. 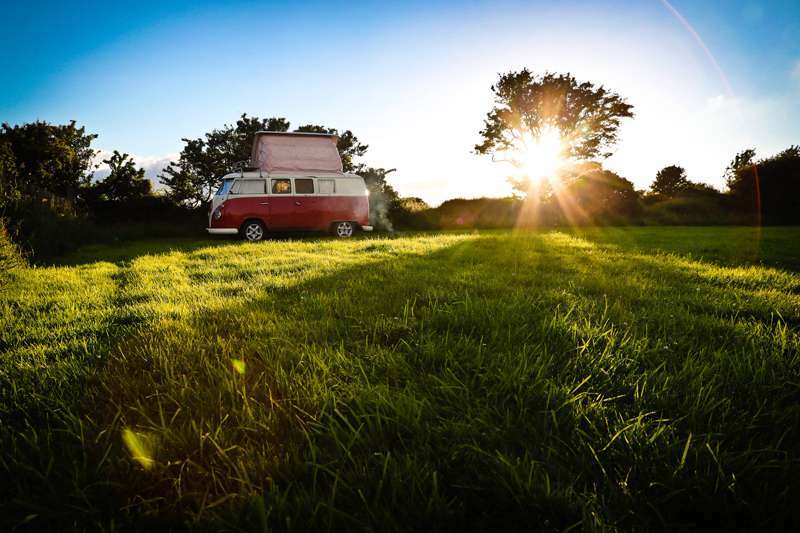 Campervans, caravans, trailer tents, dogs – no. 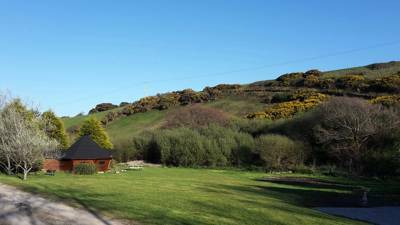 The main hostel building is a 100m walk away but there is a separate heated shower and toilet block for exclusive use by people camping. There are no electrical hook-ups and campfires are not permitted. BBQs are allowed provided they are raised off the grass. Tea, coffee and food options are sold in an onsite shop and also available in the hostel itself (see food and drink), where there is WiFi, a drying room and cycle storage. 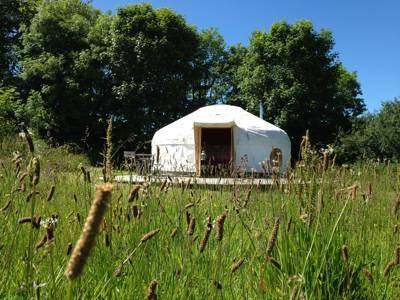 The Eden Project (01726 811911) is on the doorstep of course! The 2 indoor biomes – Rainforest and Mediterranean – are fascinating and there’s plenty going on in the ‘outdoor biome’ too, with 13 hectares of garden containing almost 2000 plant species. Elsewhere, you can enjoy a beer tour at the award-winning St Austell Brewery (0845 2411122), 4 miles away, or, just down the road, visit the Mid Cornwall Galleries (01726 812131) where they exhibit and sell some of the finest contemporary arts and crafts in the West Country. For most, though, its the multiple beaches along the coast and the gorgeous Fowey Estuary that are the main draw – just 15 minutes by car. You can grab a hearty breakfast in the hostel for £5.25 (served from 8–11am) – it includes two freshly baked pastries, one piece of fruit, one fruit juice and one hot drink. You need to order in advance, though. There's also a light snack menu, a small range of microwave meals to cook on-site and a licensed bar with a selection of hot and cold drinks is available. Other food and drink is available from within the Eden grounds during standard opening hours. June–September (the hostel is open all year). 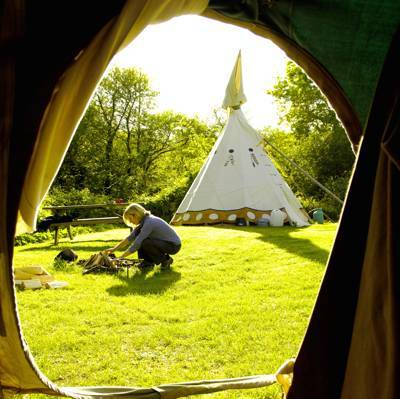 Pitches £11.50 per night; bell tents £79–£99 per night. 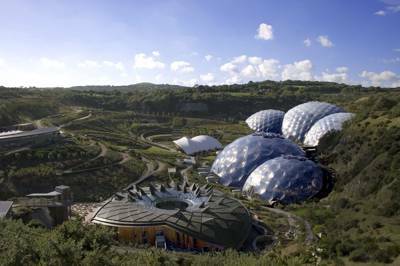 The Eden Project is situated just outside St Austell and is well signposted from the A30 from Exeter and the A391/390 from Plymouth. Follow the M5 southbound to Exeter before taking the A30 and continuing until you reach the Innis Downs junction (A391), from where the Eden Project is signposted. Once here, those staying overnight should report initially to the 'Service Gate' entrance. The nearest coach stop is St Blazey Gate, 1 mile away. The 101 bus runs from St Austell Train Station (0845 748 4950) to the Eden Project during the day – if you are arriving in the evening you can book a taxi to YHA Eden Project. The 101 bus stop is a 15 minute walk away from the site.